Rory McIlroy’s latest bedtime reading sees the four-time Major winner playing both parts of biblical legends David and Goliath in the countdown to this year’s Masters. McIlroy has become a real bookworm having read a number of ‘consciousness’ themed books of late, with his current choice the England-born, Canadian national and now US-based, Malcolm Gladwell’s ‘David and Goliath’. 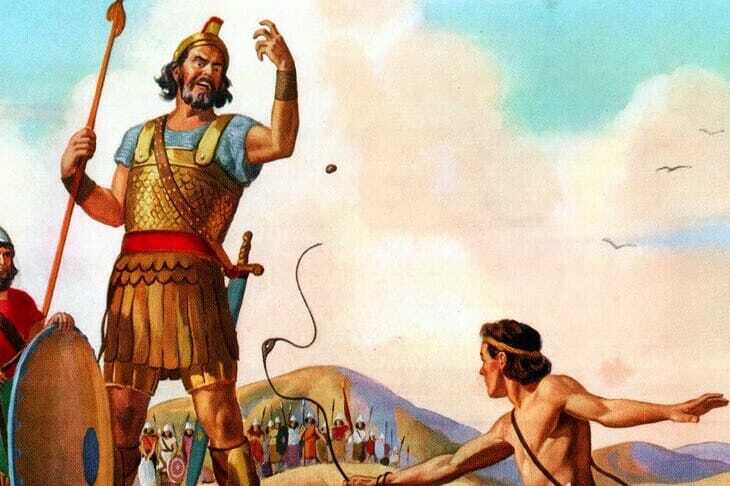 Gladwell brings a modern interpretation to the ‘good over evil’ fable, making the point that David, quick and accurate with the slingshot was, in fact, the one who had the advantage over Goliath who was too big and slur-eyed to realise the tables had been turned. In chatting with McIlroy on Tuesday and walking the last four-holes of a practice round that ended near noon where he and Scotland’s Martin Laird teamed-up but lost the money to two Genesis Open rivals, McIlroy’s competitive side came to the fore. As we walked up the final hole, the par-4 ninth, ‘Rors’ suggested to caddy, Harry Diamond a little side bet from a tricky-looking lie from just off the ninth green. McIlroy overheard the comment and began laughing, saying; “Dinner is going to taste good”, he said.